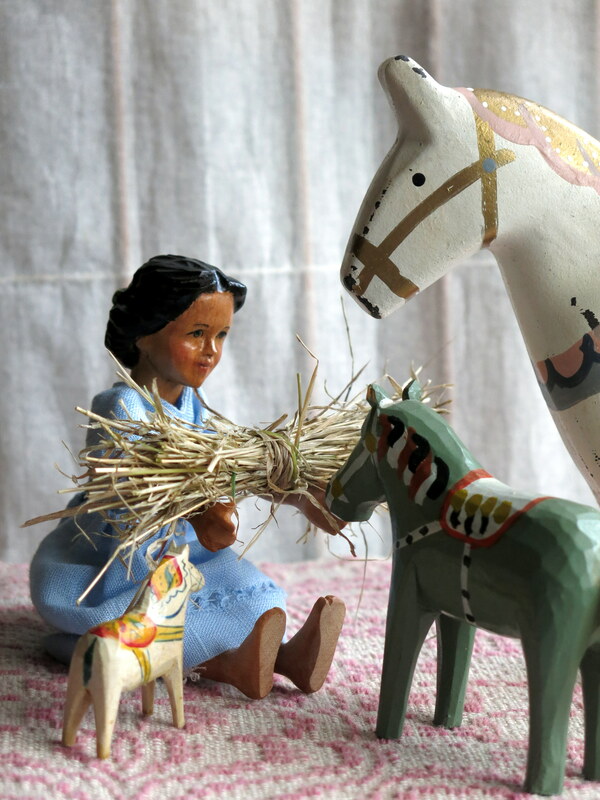 …and Viola knows that if they are sharing their hay, they are happy horses! It’s so nice to see they all get along well. Viola knows just what to do to keep them happy. The herd is growing beautifully. 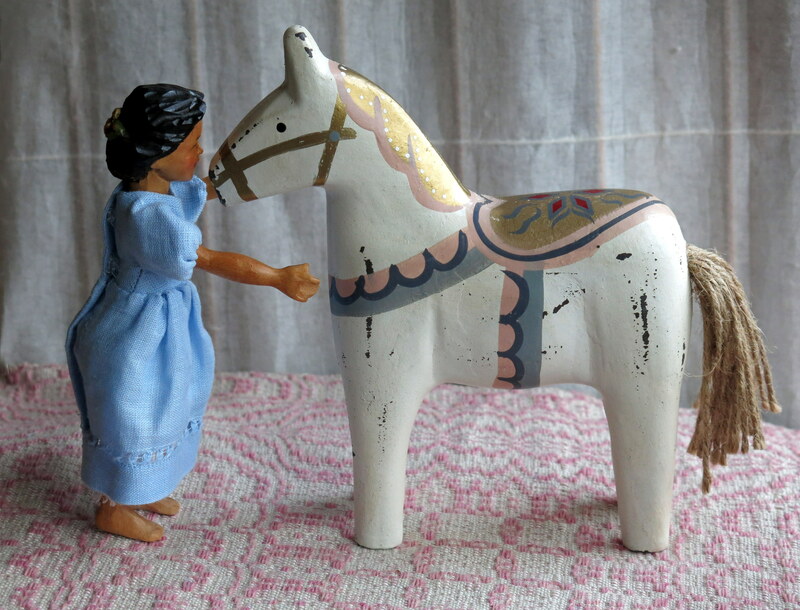 I feel a little disloyal buying this horse as it is so obviously a knockoff, but it was very pretty…Viola said don’t be silly, it isn’t the horse’s fault! She loves them all! He is a lovely boy and the perfect size to give the Quimper ladies an occasional ride, too. I believe you are right, and in fact Viola is thinking of riding him to school! 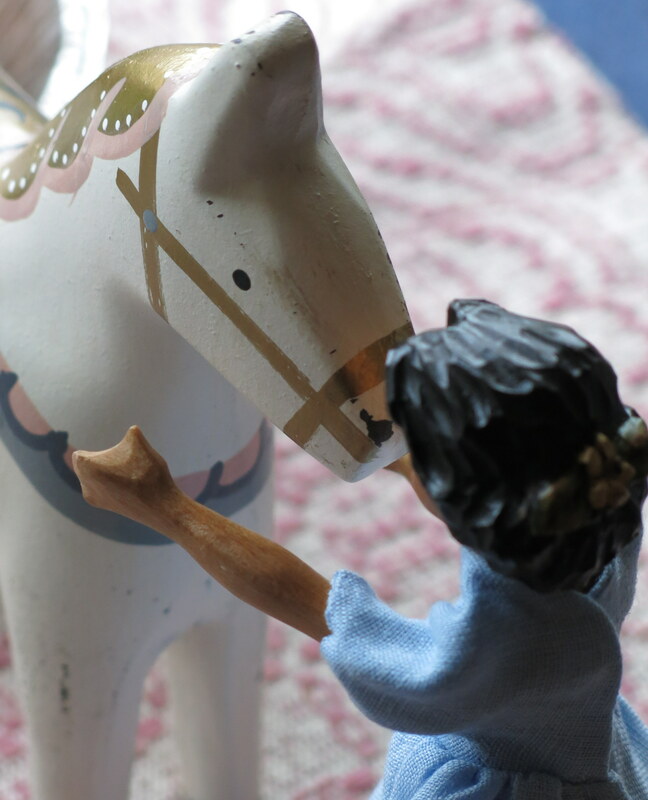 Viola is a beautiful girl both inside and out…she must be a horse whisperer to calm the new member so quickly. I know she lived for a time in a family which appreciates horses, she likely learned her gentle ways then. lovely version of a Dala. I have never seen the ones with a yarn tail. something new to see for my collection. This was from a shop in Estevan Village…I saw it and it’s brethren in the window and went right in. 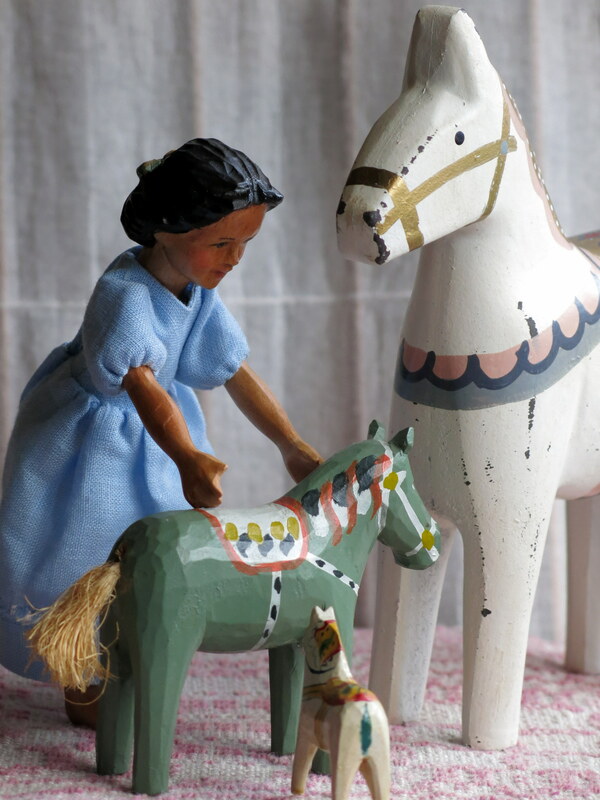 I don’t know where the green horse originated from…but my grandmother had him for years. lovely post. The herd is very sweet as is Viola. What a nice addition the white horse is to the stable! What a great horse to join the others. I know he/she will be very well cared for by the Quimper Hittys. We love our herd, and are glad that Viola has taken an interest in them…they appreciate her attention, and seem to be quite accepting of the new one!